This sponsored post is brought to you by Samsung Electronics America - content is mine, and they are enabling me to do my thing! 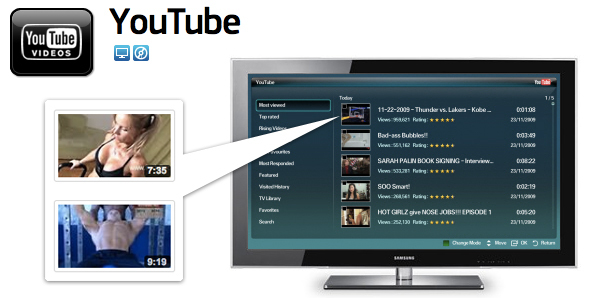 The amount and types of Apps available on Samsung Smart TVs vary depending on TV Technology and Model. Make sure to check www.samsung.com/apps to see a complete list of apps available on Samsung Smart TVs and which apps are available on specific models. The views expressed here are solely those of the author and do not necessarily represent the views of Samsung Electronics or its partners. So i’m currently at Gramercy Park Hotel - actually just popped down 14 floors to their gym you see in the pic up there! Working out on the go is a challenge ~ and i’ve been ending up in a lot of conversations lately on how technology has helped/evolved the way we work out and find regularity in our schedules, especially while on the go ~ as well as many discussions about how apps and the internet on our TVs are changing our interactions in the living room. 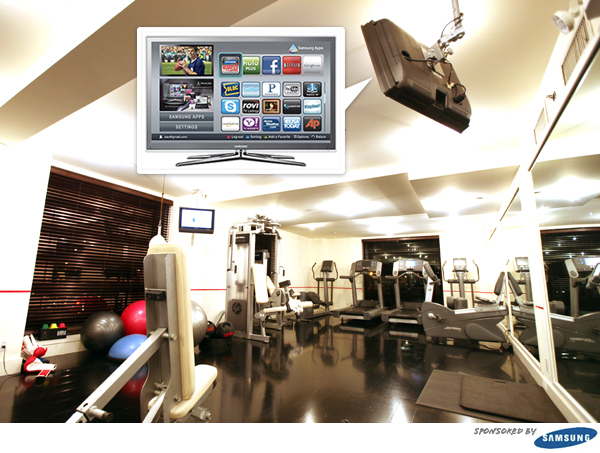 Combine the two, and when posed with a chance to explore the new Samsung TV Apps, it seemed only natural to see what’s available these days that can change the way we exercise. From literally using fitness apps, to streaming workout videos/dvds on youtube and netflix ~ from blasting pandora tunes to skypeing a trainer or a friend to work out with from just about ANYWHERE… take a peek at what i found! YouTube App - I think it’s safe to say you can find just about anything on YouTube ~ and that definitely cuts both good and bad. I won’t deny i found some freaky workout-like videos… but i also found a lot of pretty awesome ones showing you quick workouts, technique, and just about anything you can look for. 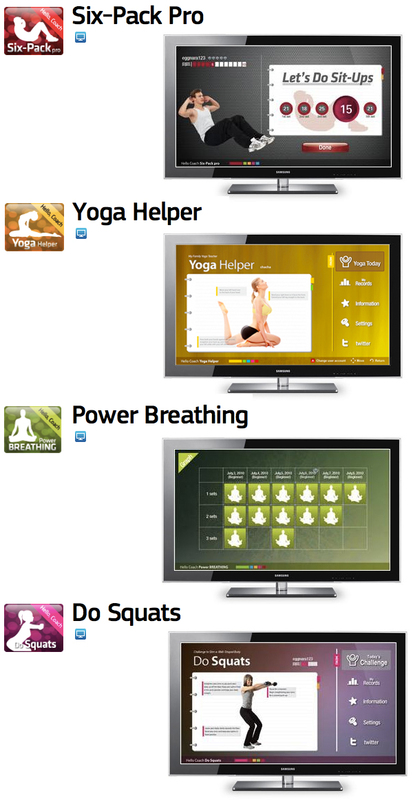 Netflix App - stream workout DVDs instantly on the TV! You can probably keep mixing up workouts for a while with their selection ~ and the ones you start on the TV - you can continue while on the road streaming to your laptop too! Pandora App - allowing you to play music to fit your tastes - the same system you love on your computer, phones, etc now playing out of your TV! Fun way to find the perfect workout playlist without getting bored! 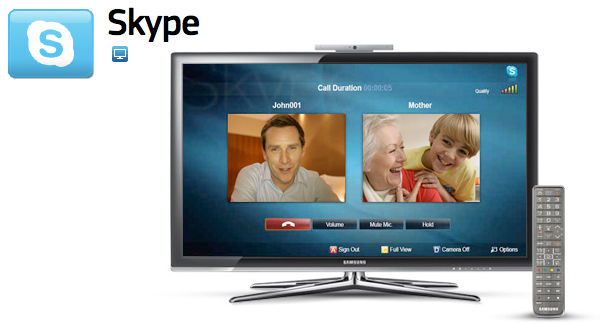 Skype App - There’s something magical about how easily you can really connect with someone from afar now! Whether you skype a far away trainer or work out alnogside your best friend half way around the globe ~ the personal motivation you need can be right on screen! Lots of options, right? And i bet things will get even more interesting as people keep hacking up things like the Kinect ~ or as our phones and tvs and laptops talk more easily ~ or as we…. well, who knows! It’s fascinating to see how the user experiences evolve with all of this new tech!